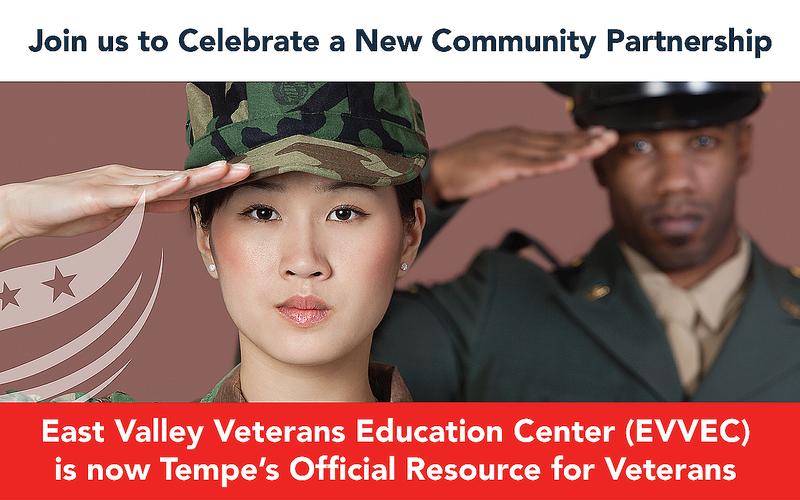 ﻿﻿The East Valley Veterans Education Center (EVVEC) offers free services to veterans and their family members, including educational and career outreach, academic advisement, community referrals and in-person workshops and classes. Financial Literacy Workshop – Tuesday, Feb. 10, 5:30 p.m.
Employable Skills & Readiness Workshop – Wednesday, Feb. 11, 4 p.m.
VA OEF/OIF/OND Veteran Informational Presentation – Thursday, Feb. 19, 5 p.m.
T minus 4 days until the Rio Salado College Mascot Contest ends. You have until midnight, January 31 to submit your entry and a chance to win a $100 gift card. Earn a Certificate or Degree in Retail Mgmt. Rio Salado College’s certificate and associate degree in retail management is helping dozens of local employees get the training needed for management careers in the retail food industry. 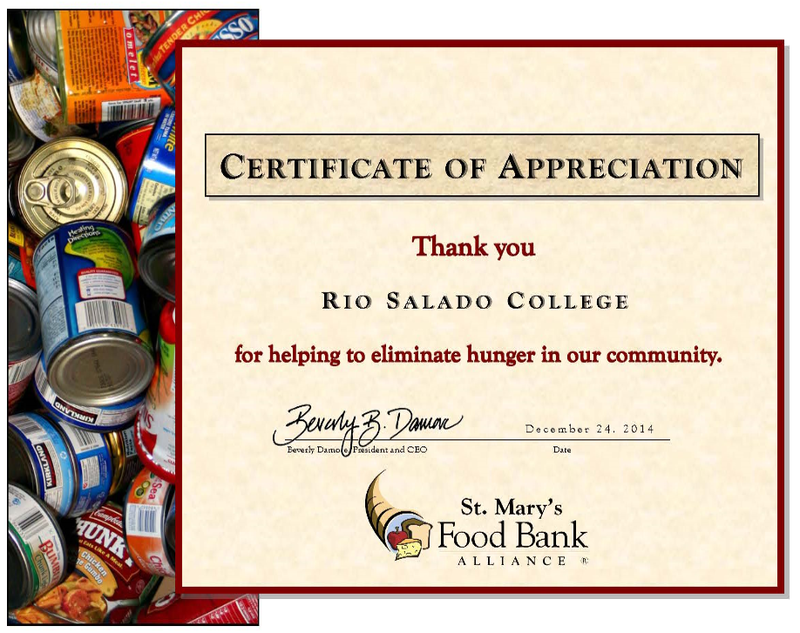 Fry’s Food Stores has offered its associates a tuition reimbursement program through Rio Salado for years. Bands said the second reason centers on Rio Salado’s customer service. Recently, Fry’s Food Stores (as well as Basha’s, Safeway, Albertsons, Smart & Final) has begun paying up front for employees to take retail management classes for the Western Association of Food Chains (WAFC) certificate. The WAFC is an organization that serves the food industry by providing educational programs for food industry associates. Many of the large grocery chains are WAFC members. 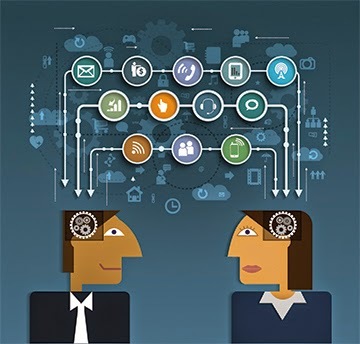 Bands agrees with the importance of having an educated workforce. Phipps also cites the need for education to keep up with changing times. According to Phipps, over the next several years, the need will be even greater as baby boomers exit the industry. “Retail companies want to cultivate a skilled talent pool to meet the projected growth and need to fill openings,” Phipps said. At Fry’s, associates from courtesy clerks to operations management are seeking out the retail management certificate to transition to the next level. To learn more about Rio Salado’s retail management degree and certificate, visit www.riosalado.edu/retail. By Mira Radovich, Communications Coordinator at Rio Salado College. This story was also featured in several editions of the Arizona Republic on January 17. Learn about Rio Salado's Youth Media Center SPOT 127 in this news story by CBS 5 Reporter Catherine Holland. 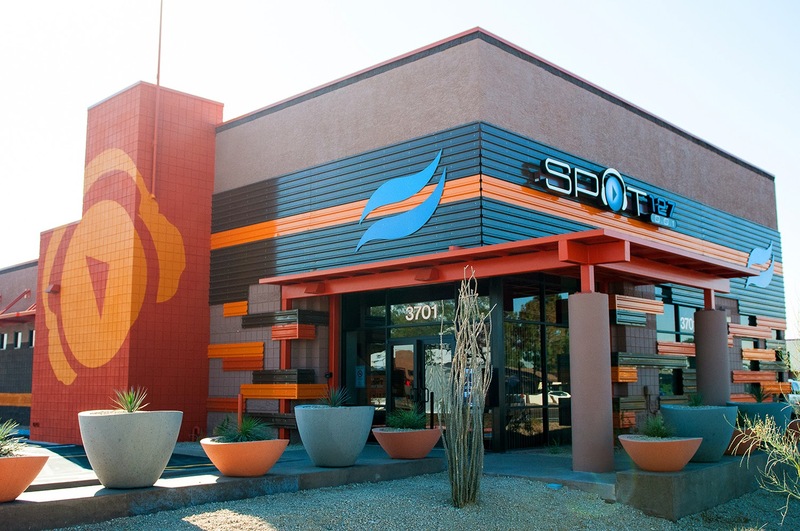 SPOT 127 is an innovative youth media center in Phoenix that empowers high school students to develop state-of-the-art skills in digital media, radio and journalism. It is operated by 91.5 KJZZ, which is a community service of Rio Salado College. For more details, visit spot127.org. Rio Salado is offering a new, in-person option at the East Valley Veteran’s Education Center for REL100 — World Religions, designed specifically with veterans and their families in mind. While this class is geared toward veterans, it is also open to the public. 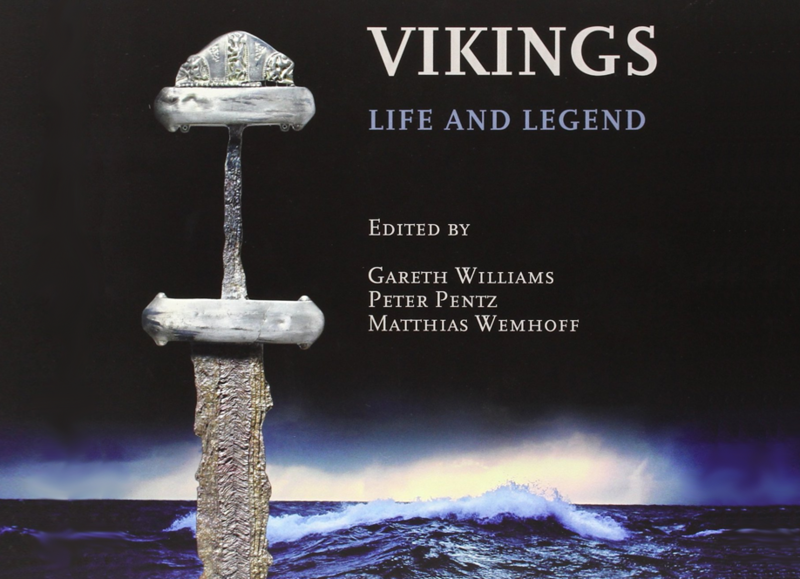 Explore the rich history and development of world religions. Examine their development since prehistoric times and the political, economic, social and geographic relationships among world religions. Classes are offered in a cooperative learning environment, providing support and guidance from Rio Salado personnel to help you succeed! Time: 4 - 6:50 p.m. Location: East Valley Veteran’s Education Center, 3320 S. Price Rd., Tempe, AZ 85282. 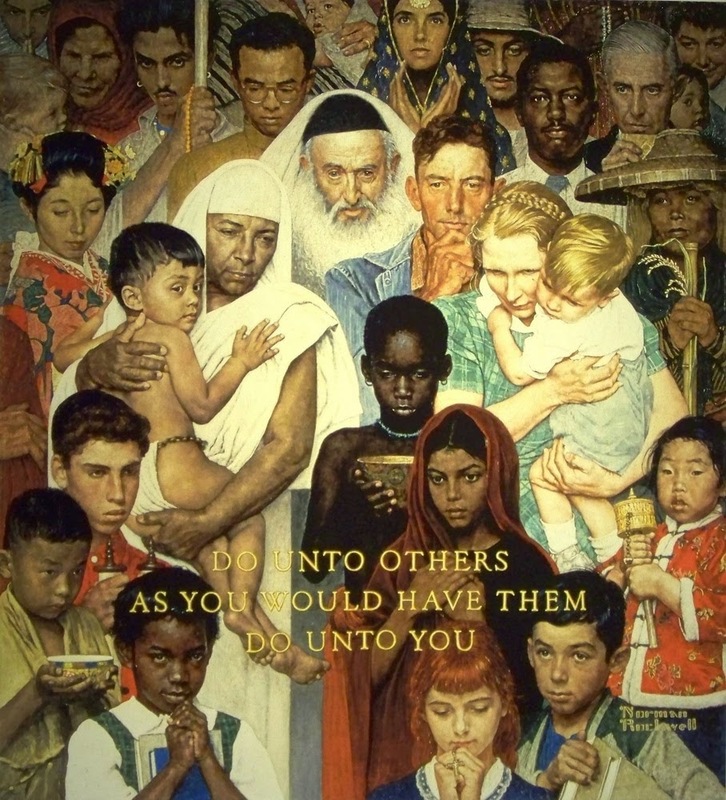 Image: Golden Rule by Norman Rockwell 1961. 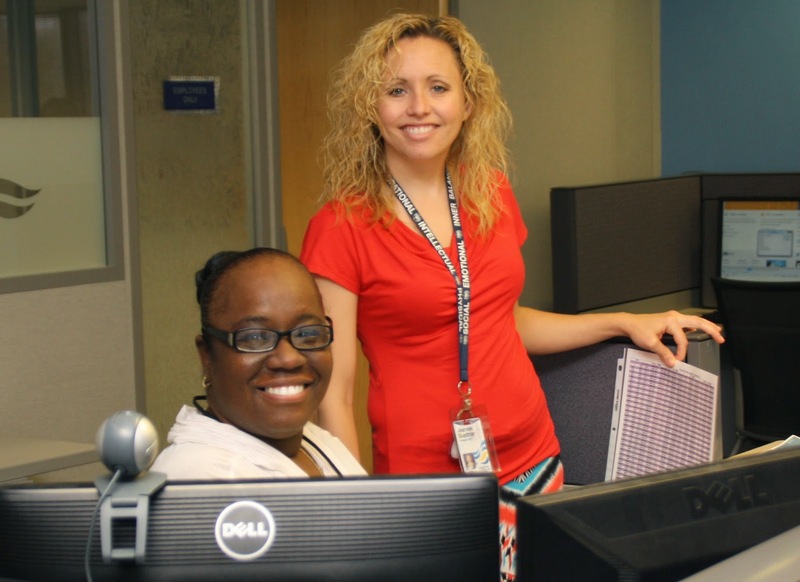 Take advantage of Saturday services at Rio Salado Tempe headquarters, January 24 and 31, 10 a.m. – 2 p.m.
We are providing these extra hours of service to help you meet the increased demands that normally occur at the start of a new year. Attention new students. This new video provides a great introduction to three, important online systems that will help you on your educational journey. Take advantage of the 2015 Military Career Event hosted by BestCompaniesAZ, Birdies for the Brave and the Waste Management Phoenix Open. Attendance is FREE to all veteran job seekers and their spouses. Register in advance and receive a free talent report, which can help you in targeting the right company, increase your chances of an interview and land the ultimate dream job. Learn more by visiting the event page. If you haven't heard, Rio Salado is in search of a mascot. 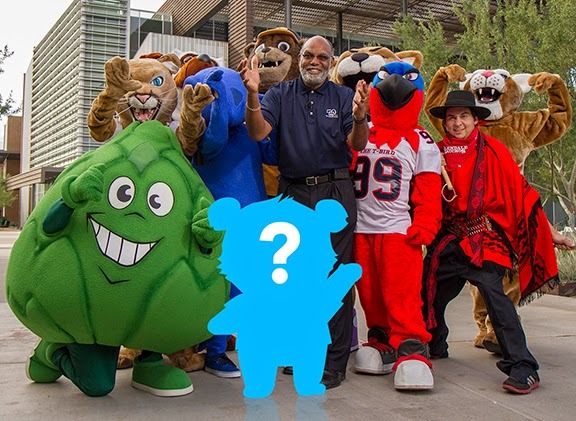 The college is calling on students, faculty, staff, alumni and the public at large to take part in the Rio Salado College Mascot Contest, between now and January 31, by submitting mascot ideas that reflect the college’s culture, brand and history– and will fit in with the motley crew of Maricopa Community Colleges mascots. The selected winner will receive a $100 gift card. Participants can submit suggestions for a name, idea or design concept to the Rio Salado College Mascot Contest committee until midnight, January 31. Entries must be submitted by email to mascot@riosalado.edu. Multiple submissions are allowed, but each idea must be submitted individually. The committee and a panel of final judges will select the winning entry this spring and announce the winner during its College-Wide meeting (date TBD). Once chosen, the mascot will be used for college publications, advertisements, website and other collateral material. For complete entry criteria and other details, visit www.riosalado.edu/mascot. Pictured above: MCCCD Chancellor Rufus Glasper surrounded by Maricopa Community Colleges mascots. Scholarships are one of the best ways to cover expenses because you don’t have to pay them back, yet so many students don’t take advantage of them, leaving thousands of dollars unclaimed. Why? 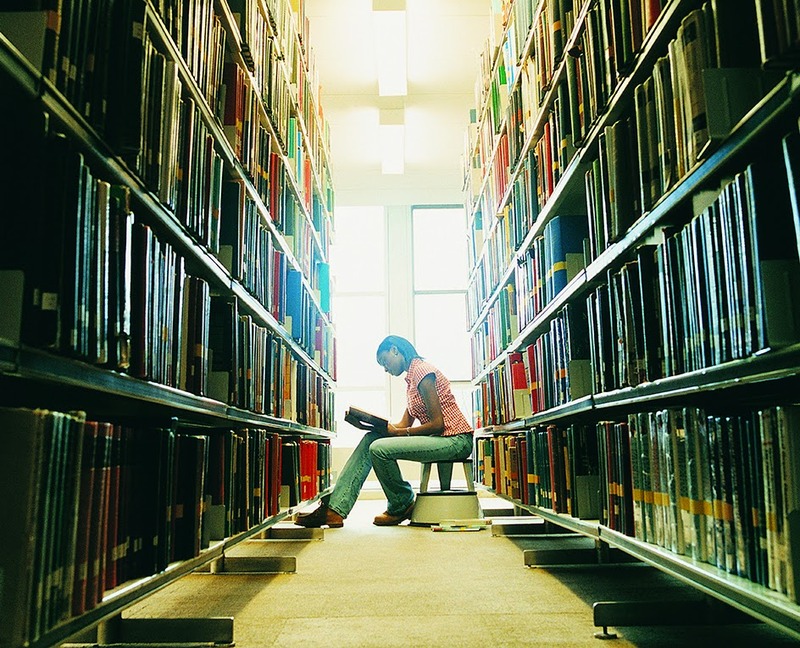 There seem to be a few misconceptions about scholarships. 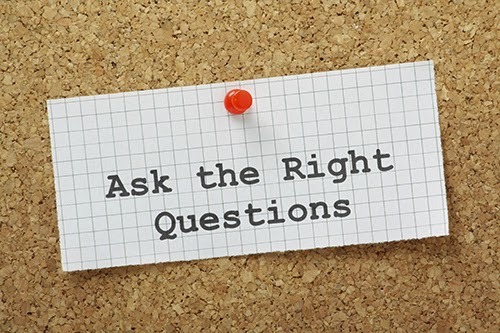 Among the most common is that you need to have a 4.0 GPA and a long list of achievements. Think again. The Nina Mason Pulliam Legacy Scholarship Program is now accepting applications for the 2015-2016 academic year. The program covers full tuition, fees and books, while providing each student with an academic advisor and mentor. It also includes a $2,750 annual living allowance. Visit the application page for additional requirements. The deadline is March 1. Need help applying? Visit this Maricopa Colleges web page to watch a video tutorial about successful tips and strategies to consider in all of your scholarship applications. You can also call on our counseling services team for help. Get a start on your application now. The Maricopa Community Colleges are hosting university transfer fairs across the Valley, February 17 - March 25. More than 40 of our partners will share information about transferring from a community college to a four-year college or university, including how to apply, earn scholarships and maximize transfer credits. Visit this University Transfer page for the latest dates, times and locations for these events. Check out this page to learn more about the partners. 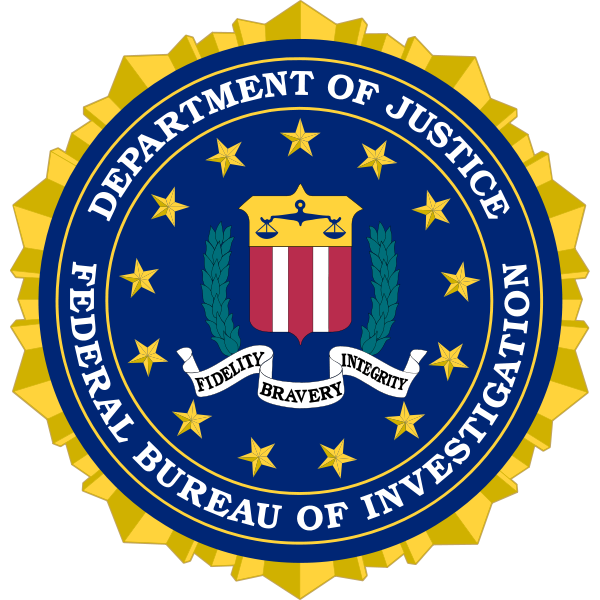 The FBI warns that college students across the U.S. have been targeted to participate in work-from-home scams. Students have been receiving e-mails to their school accounts recruiting them for payroll and/or human resource positions with fictitious companies. Learn tips on how to protect yourself from this scam. Sun Sounds of Arizona Manager of Programming and Volunteers Andrea Pasquale joined volunteers and the 12News team this morning, to increase awareness about the services Sun Sounds provides. Included in the discussion was Donna Schober, who has been a Sun Sounds volunteer for 35 years! You can watch the segment now on YouTube. 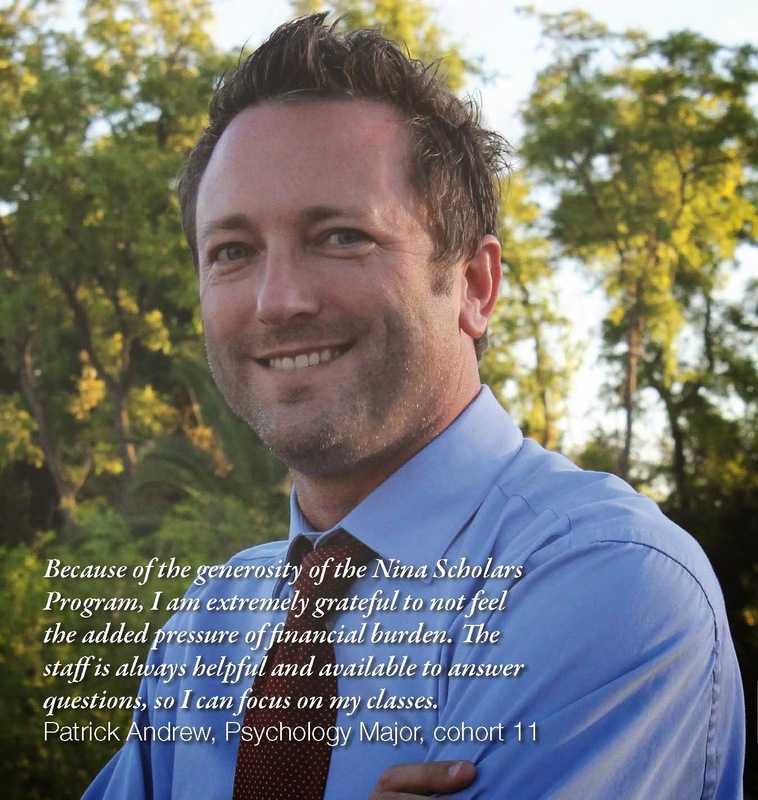 Sun Sounds is a community service of Rio Salado College. We are always looking for volunteers who have a passion for reading. Visit sunsounds.org for more details. 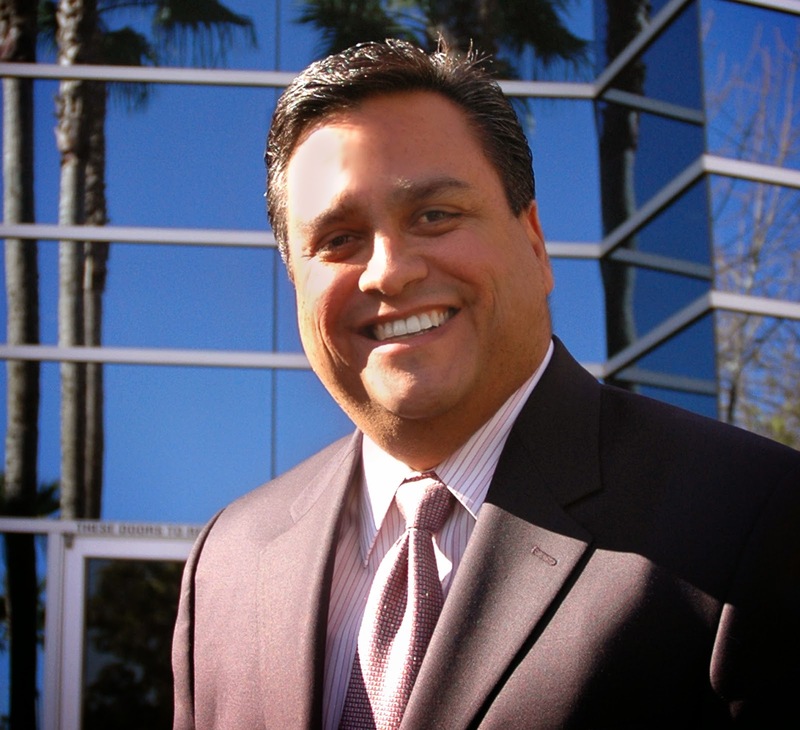 Rio Salado College President Dr. Chris Bustamante was recently appointed to Governor Doug Ducey’s Education Transition Committee. Dr. Bustamante will work with other education and community leaders on the committee to advise the new administration on important education issues of the day, including those pertinent to Arizona's community colleges. 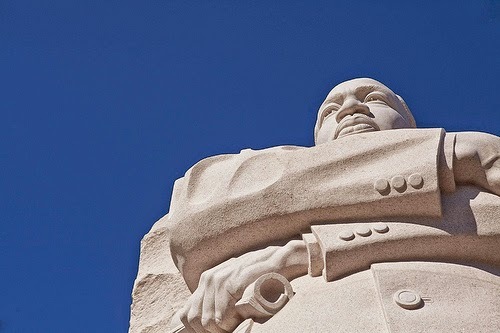 Rio Salado College and the Maricopa Community Colleges will be closed on Monday, Jan. 19 in honor of Martin Luther King, Jr. Day. 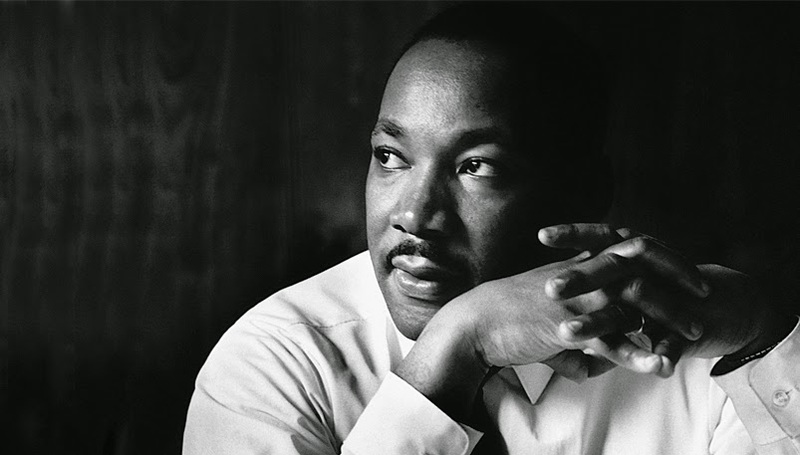 We encourage you to learn more about Dr. King and the impact he had on the American Civil Rights Movement by visiting our Rio Salado Library digital archives. FPRAZ Outperforms Most Charities in U.S.
Charity Navigator recently awarded Friends of Public Radio Arizona (FPRAZ) a 4-star rating for adhering to good governance, best practices and executing its mission in a fiscally responsible way. FPRAZ is a non-profit 501(c)(3) charitable organization which stewards resources on behalf of public radio stations KJZZ 91.5 FM and K-BACH 89.5 FM, which are a community service of Rio Salado College. This is the highest rating offered by Charity Navigator, which means FPRAZ outperforms most other charities in the U.S.! 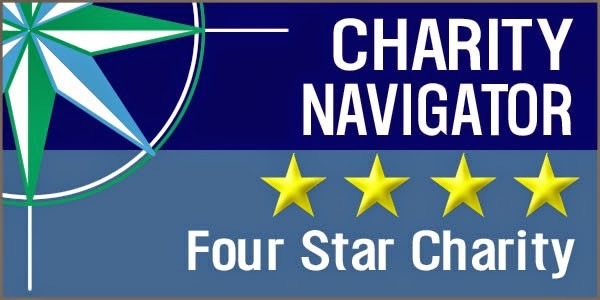 Charity Navigator is the leading charity evaluator in the U.S. The organization rates charities by how efficiently charities use donor support, how well charities sustain programs and services over time and their level of commitment to accountability and transparency. We appreciate your trust and commitment to support KJZZ and K-BACH. We could not have received this top rating without you. 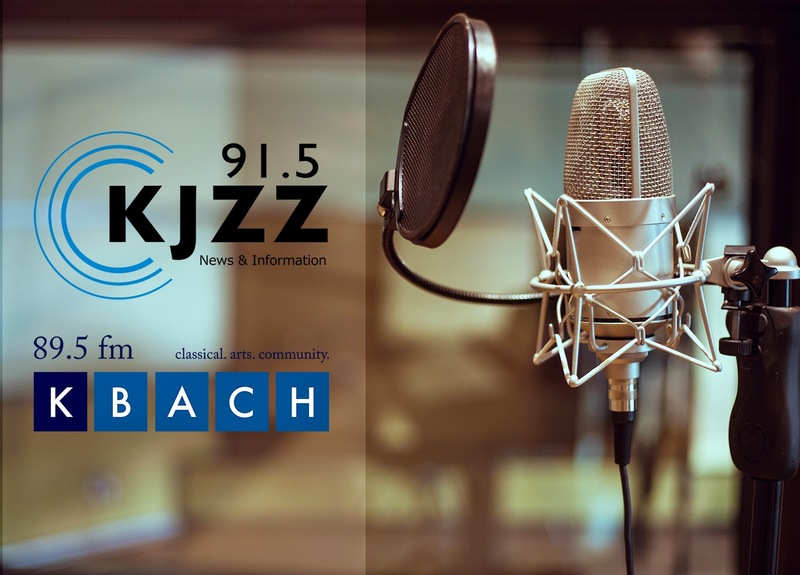 You can listen to KJZZ and K-BACH online right now. 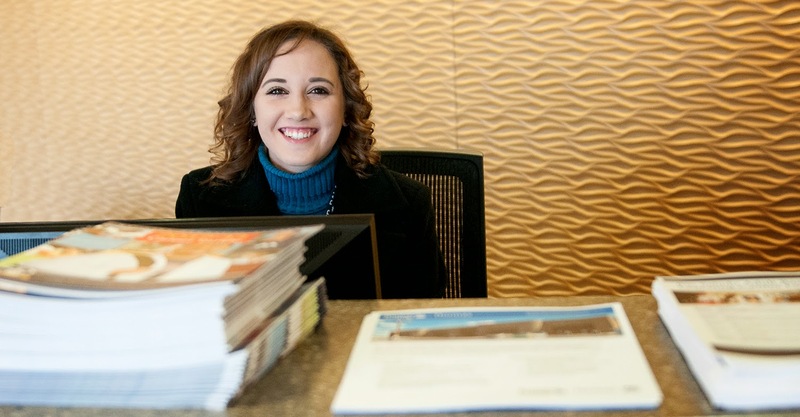 Rio Salado Tempe headquarters will provide special Saturday service hours for several student services, January 24 and 31, 10 a.m. – 2 p.m., to help meet the increased demands that normally occur at the start of a new year. For a step-by-step guide on how to get started at Rio Salado, visit www.startatrio.com. 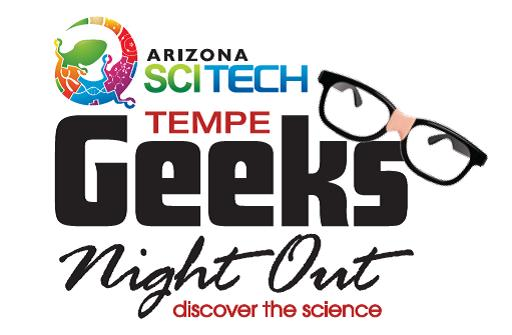 Join Rio Salado College, the City of Tempe and the Arizona SciTech Festival for the 4th Annual Geeks' Night Out, Thursday, March 5, 2015 at Tempe City Hall. This FREE, family-friendly event is a blend of science, technology, engineering, arts, math and much more. 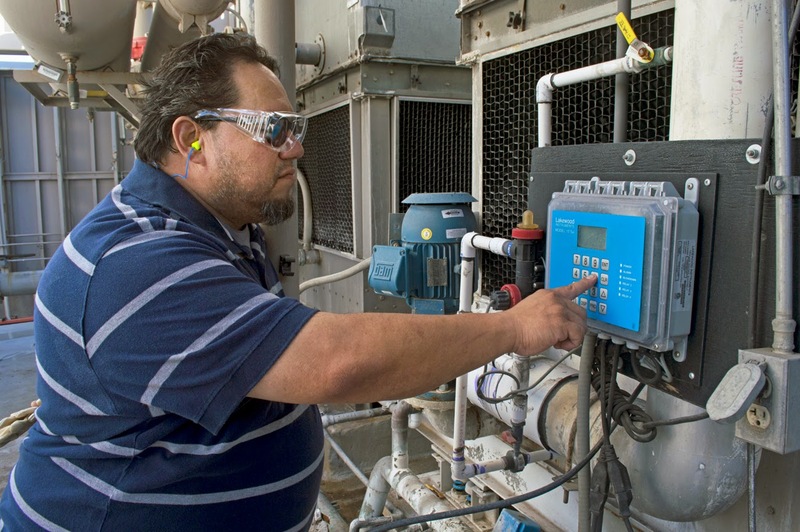 In-person classes for our NEW certificate in Energy Systems Technology begin January 12 at RSC Downtown. Course content will focus on energy management and conservation concepts, building codes, standard rating systems, blueprint reading, and efficiency-- with hands-on lab and field-based learning experiences. Learn more about this program in this RioNews blog and www.riosalado.edu/energy.